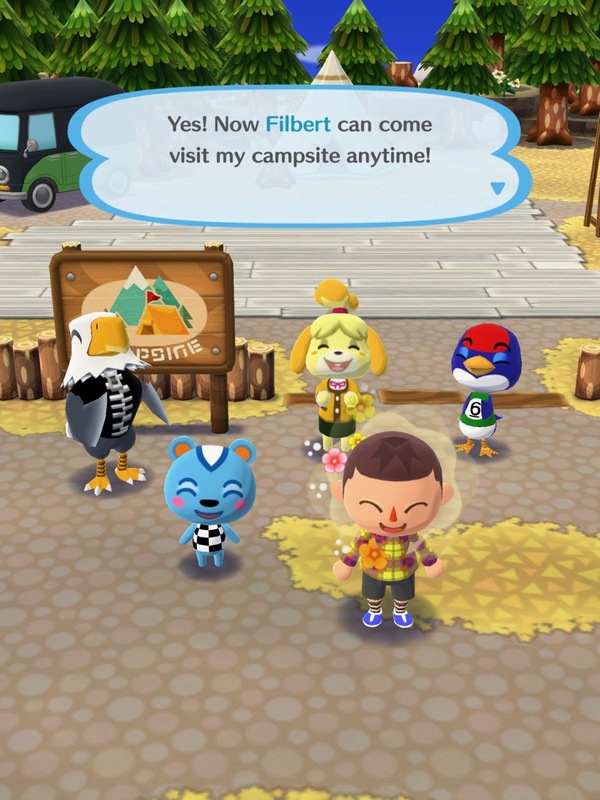 News first broke in late April of 2016 that an Animal Crossing game would be making its way to the App Store, and after more than a year of speculation and a brief soft launch, Animal Crossing: Pocket Camp (Free) launched globally this morning. If you’ve been paying any attention to what Nintendo has been doing in the mobile arena, what Pocket Camp actually is shouldn’t surprise you much. Much like Super Mario Run (Free) and Fire Emblem Heroes (Free), Pocket Camp is a shockingly well done mobile adaptation of Animal Crossing without ever replacing “real" Animal Crossing games such as New Leaf on the 3DS. Similar to previous Nintendo mobile titles, Pocket Camp is severely limited in scope compared to the full-featured games on Nintendo platforms, but still serves as an incredibly fun distraction- And you really can’t beat that for the current asking price of free. If you’ve never played an Animal Crossing game before, they all more or less follow the same gameplay path: You arrive as a new person in town, and slowly make friends with other villagers by completing various basic tasks while you’re constantly chasing down the next piece of furniture or other house upgrade. Pocket Camp follows this formula fairly closely, with minor deviations like instead of having a house you’ve got a camp site (and camper) and instead of your village being one seamless world you can wander around, the game is divided into smaller areas accessed by a fast travel map. Controls are simplified to work with the touch screen, and as such, things like fishing and catching bugs have been dumbed down significantly. The “dumbing down" theme more or less persists through most things in Pocket Camp, which shouldn’t be a surprise to anyone who has been paying attention. The whole idea here is to get people to be like, “Oh hey, what’s this Animal Crossing thing? This is kind of fun, do they have other games? Wow this New Leaf game looks even better, maybe I’ll pick up a 3DS." If you approach Pocket Camp with that in mind, and treat it as a fun distraction you play for a few minutes a day, you’ll likely have a great time. 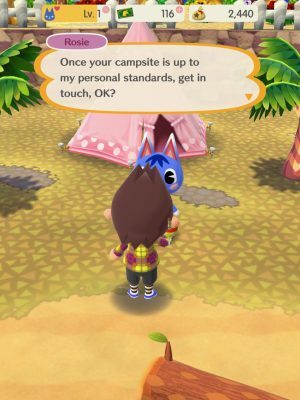 If you’re expecting New Leaf but on your iPhone, you should probably avoid Pocket Camp entirely as its limitations will only lead to frustration. One discussion surrounding Pocket Camp that I’ve found to be absolutely fascinating is how folks who have played the soft launch are reacting to the free to play elements. Basically, like most free to play games that feature progression or upgrades as a gameplay mechanic, you can buy your way out of every limitation or timer imaginable- Otherwise, if you ignore all the junk you can buy and things you can skip with Leaf Tickets (the game’s premium currency) it plays exactly like a “real" Animal Crossing game. 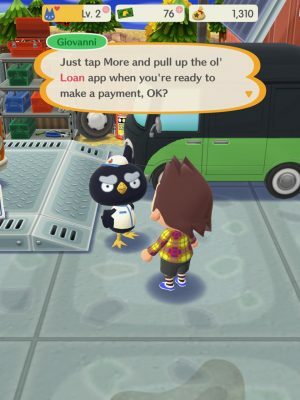 Many people critical of Pocket Camp’s pay model seem to have forgotten that at their core, Animal Crossing titles have always played like a freemium game- Nintendo just got you to pay $40-60 up front for it. The games operate on a real world clock, and have real limitations on what you can do every day. You can always kill time by catching bugs or fishing, but the game was designed for you to hit a point each day where you ran out of things to do other than come back tomorrow while the timers for fruit respawning on trees and other similar things ticked down. The catch is, those timers were abstracted from the player, whereas Pocket Camp makes it very clear how many hours you have until fruit respawns and gives you the opportunity to spend some Leaf Tickets to have that fruit come back instantly. In essence, the direction Nintendo went with Pocket Camp doesn’t deviate at all from what a “real" Animal Crossing game even is. Given the fact that there’s really no way to “win" in any Animal Crossing game, I’m super curious to see how this one is going to monetize. If you do decide to spend in Pocket Camp, all you’re really doing is boosting yourself towards the next timer to wait for. All that being said, Pocket Camp still does a fabulous job at scratching the Animal Crossing itch in brief gameplay sessions throughout the day. Meeting new villagers is fun, although making friends largely depends on meeting their increasingly odd demands. One way the game drives you to constantly be collecting furniture is that new villagers you come across will only come hang out at your camp site if you have a very specific set of items that fit their tastes. I suppose some form of carrot on a stick is necessary, but it seems hilariously awkward to think that you could be at a camp ground, meet a new person, then invite them to come hang out at your camp site only for them to respond something along the lines of, “Sure, I’d love to, but only if you have this exact chair." But, hey, suspension of disbelief is required in any video game. As you get further into the game, you’ll likely gain loads of virtual as well as real friends via the game’s elaborate friends system. Unsurprisingly, like everything Nintendo does, friends are handled via supremely awkward code sharing- But that should be expected by now. (If you’re looking for people to play with, check out our forums.) Human friends can buy things from your market box, which serves as a secondary player-driven economy outside of you just selling your fish, fruit, and bugs for the going rate. 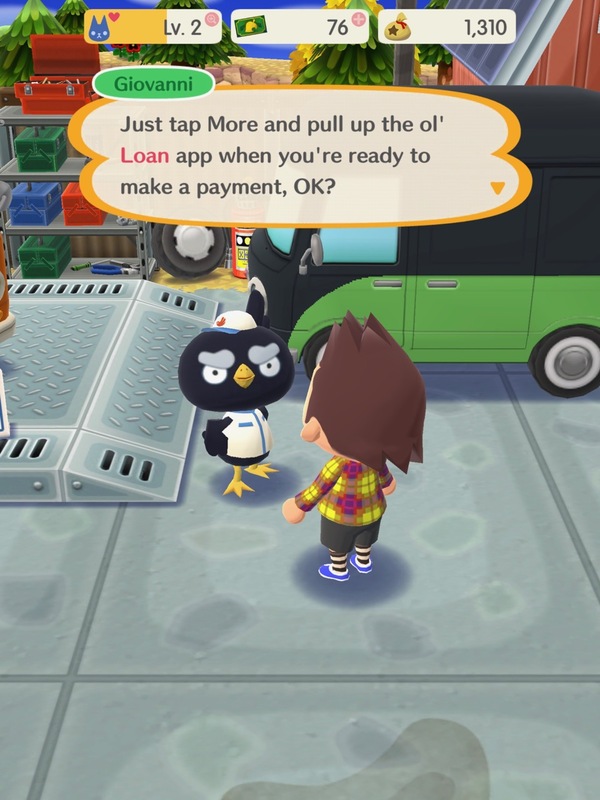 Like all Animal Crossing games, you’ll be doing a lot of wheeling and dealing to earn bells, as there’s always another loan to be taking on upgrading the size of your camper and there’s always another thing to collect. Really, reviewing Animal Crossing: Pocket Camp feels like a necessary formality more than anything else. It’s a game with over a year of hype behind it, the Nintendo seal of quality stamped on it, and it’s from an IP that couldn’t be more beloved. I’d recommend everyone giving it a shot, as you can play for quite a long time before hitting any kind of free to play limitations… And who knows, maybe you’ll fall in love with the Animal Crossing universe and be one of those people to pick up a 3DS just to play New Leaf. We go way more in depth with how to actually play the game and how to maximize its free to play elements in our series of guides, so if that’s the kind of thing you’re into, start here at our beginner’s guide. We pride ourselves on delivering quality, long-form articles like this one instead of the SEO-driven click bait that is slowly taking over the internet. Unfortunately, articles like these rarely generate the traffic (and as a result, the ad revenue) of listicles, cheat guides, and other junk. Please help us continue producing content like this by supporting TouchArcade on Patreon, doing your Amazon shopping by first visiting toucharcade.com/amazon, and/or making one-time contributions via PayPal.